It’s almost time for the kids to go back to school and that means planning school lunches. Packing school lunch boxes is an everyday routine for many families. In fact, children need one-third of their daily food intake during the school day. It’s important to give them healthy options. 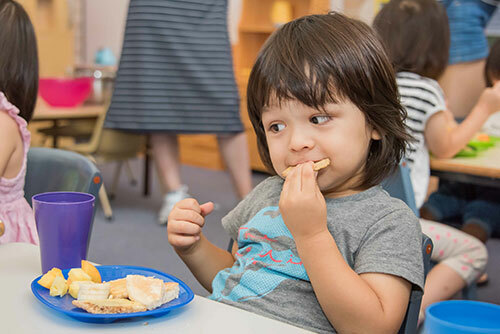 “A healthy lunch for children ensures they are fuelled for a long day of learning and play and it supports healthy growth and development,” Sydney Local Health District childhood dietitian Kalliope Polyronis said. When it comes to making lunches it helps to have healthy options available and get your children involved in the decision making. “Children are more likely to eat food they have chosen for themselves,” Kalliope said. Life can be busy, and some mornings there just isn’t time to get lunches ready. Preparing lunch boxes the night before and storing them in the fridge can take the pressure off parents. Using leftovers for lunch can be another timesaver. Leftovers can be stored in the fridge for up to three days. While some children are happy to have the same foods every day, creating a little more variety during the week can lead to positive eating habits at home and at school. During the warmer months, insulated lunch boxes, cooler bags and frozen water bottles can help keep food cool. Importantly, any food left in the lunch box at the end of the day should be thrown out. Lunch boxes and water bottles should be washed and dried every day. Kalliope recommends packing vegetables either as snacks or sandwich fillings, fruit, wholegrain breads or wraps, yoghurt, cheese, eggs and lean meat like beef or chicken.